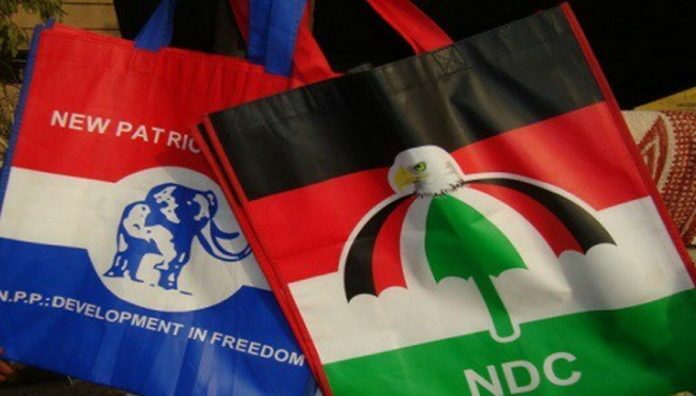 General Secretary of the opposition National Democratic Congress (NDC), Johnson Asiedu Nketiah, has said the outcome of the first meeting aimed at disbanding political vigilante groups, did not yield the desired outcomes. Speaking to Kwabena Agyapong on Frontline on Rainbow Radio 87.5Fm, the chief scribe said the ruling New Patriotic Party (NPP), has still not agreed to the terms to have other mediators join the discussions aside the Peace Council. He is also claiming that there were surprises that came up at the first meeting. He said the parties agreed to have used the first meeting as an avenue to set out the modalities for the meeting. Johnson Asiedu Nketiah said although some progress was achieved at Tuesday’s meeting, the NDC had expected more. The President urged the parties to expressly disband all groups affiliated to them, or he will be compelled to initiate a legislation to disband these groups to which he has directed the Attorney General to draft a bill and present it before Parliament for consideration after the deadline given the parties to meet failed. Me Nketiah said the umbrella party went into the talks hoping that the NPP had accepted to involve multiple stakeholders in the militia disbandment process, but that was not the case. The letter from the NPP dayed March 15, 2019 also started that “the NPP has shifted its position from the dual party engagement to consideration for multiple stakeholder engagement,” but that was not the case when we went for our first meeting, he added. The NPP, he said held its ground on limiting the deliberations to the two main parties, a position we disagreed with. The parties are expected to convey another meeting on the 29th of this month. Other members were a former Chief of Staff, Mr Prosper Bani; a former National Security Minister, Mr Kofi Totobi Kwakye; as well as the party’s lawyers, Mr Abraham Amaliba and Nana Ato Dadzie.